At Orillia Mazda we pride ourselves in having one of the largest Pre-Owned Sales departments in the Orillia area. We have NO hidden fees, NO hidden charges and NO surprises. Financing?? Ask about our competitive finance rates. Have a trade in?? All trades welcome, whether it’s an old clunker or a year old super car we're interested. 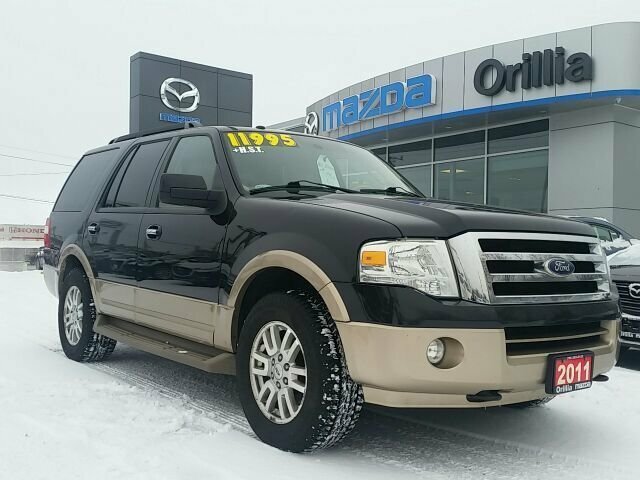 Interested by the 2011 Ford EXPEDITIO 4X4-LEATHER-THIRD ROW-BACKUP CAMERA ?